Srishti was seated comfortably on the bean bag in her living room. She was surfing the internet on her laptop and suddenly yelled out her elder sister’s name. “What happened Srishti, why are you shouting?” asked Trisha as she entered the living room from the kitchen. “Do you think our new car might crash down in the middle of the road and we may need assistance?” Srishti questioned her puzzled sister. “What sort of a question is that and why are you being so negative?” Trisha pulled a chair and peeped into Srishti’s laptop. “I am not being negative, I am being practical. The website is asking, do you need an Add-on with your Comprehensive Car Insurance policy? A Roadside Assistance cover is something I think we should have. As per this Add-on, the insurance company will send help if there’s a car breakdown,” said Srishti. “You are purchasing car insurance online? Isn’t it complicated? And what is an Add-on?” Trisha’s widened her eyes demanding answers. “Buying car insurance online is super simple. It is like ordering a pizza. Just as you add garlic bread while ordering a pizza, you can get an Add-on to strengthen your car insurance. So, should I get the Roadside Assistance Add-on? It’s not expensive,” Srishti explained. “All right, till the time you know what you are doing and it is not expensive, go for it,” said Trisha, and Srishti purchased her Comprehensive Car Insurance policy with the Roadside Assistance Add-on within minutes. 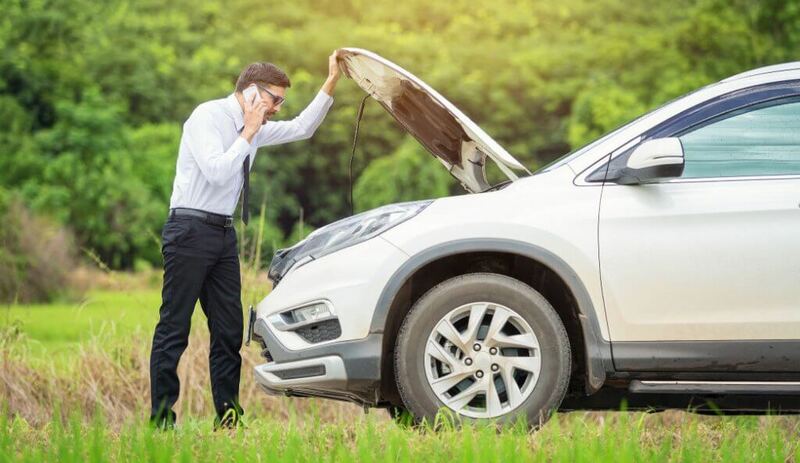 While Srishti and Trisha found the Car Insurance Roadside Assistance Add-on suitable, mentioned-below are other popular Add-ons that you might want to consider and opt for if you find them appealing. The Zero Depreciation Insurance Add-on is also known as Bumper-to-Bumper cover. With the Zero Depreciation Insurance Add-on the insurance company doesn’t deduct the depreciation amount of the insured car while settling the claim. As the car ages, the value of its parts depreciates thanks to natural wear and tear. For example, if the claim amount is Rs. 40,000 and the depreciation amounts to Rs. 12,000, the insurance company will settle the claim for Rs. 28,000 in case of a basic Comprehensive Insurance Policy. If the policy has the Zero Depreciation Insurance Add-on, the depreciation amount will not be deducted and the claim will be settled for Rs. 40,000. Note that the deductible amount is not taken into consideration in the above equation. What is NCB in insurance and what is NCB’s full form? The answers to these questions are essential as they lead to huge discounts on insurance premium. NCB’s full form is No Claim Bonus. It is a type of reward for driving safely and for not raising a claim during the policy period. The insurance company provides a discount on the insurance premium while renewing the policy. The NCB can be as high as 50% of the insurance premium amount. In order to protect this NCB, you can go for the NCB Protect Add-on. With this Add-on, you will be eligible for the NCB even if you have raised a maximum of two claims in a year. An accident or a natural phenomenon such a flood can damage the car’s engine. A car’s engine is not protected under a basic Comprehensive policy. But with the Engine Protection Add-on, you can ensure to cover your car’s engine against such unforeseen events. Consumables such as nuts and bolts, lubricants, etc. need replacements while repairing the damaged car. Insurance companies do not cover this repairing cost. It is covered only if you have the Consumables Cover Add-on. Add-ons can only be purchased along with a Comprehensive Insurance policy. They are designed for enhanced protection. Make sure to go for those Add-ons that add value to your policy.